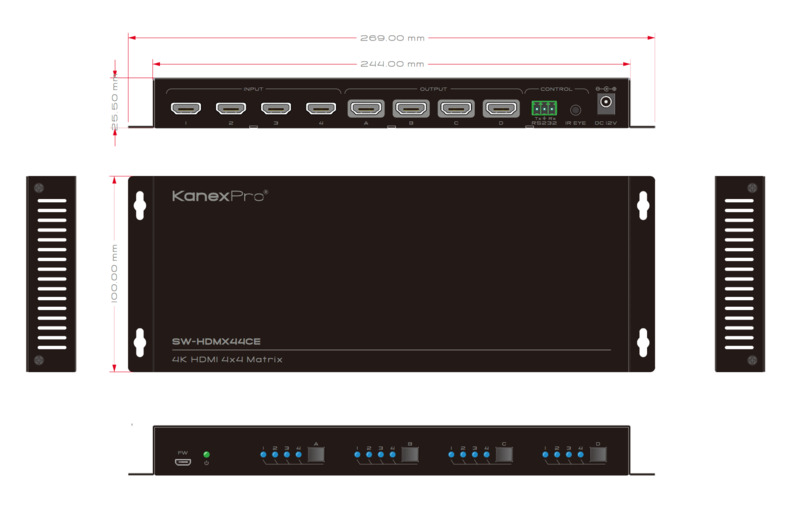 The KanexPro SW-HDMX44CE is a simple and cost-effective 4K based HDMI matrix designed with 4-inputs and 4-outputs. 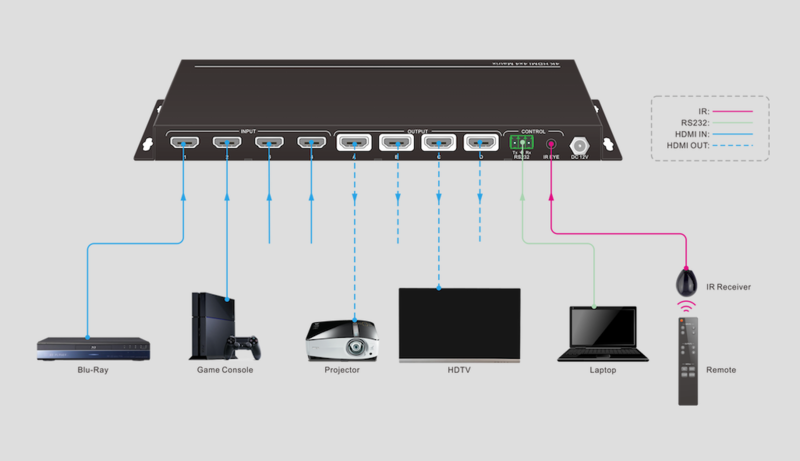 For swift switching and routing of any HDMI sources such as laptops, Blu-ray players, and 4K based Apple TV to any four displays. 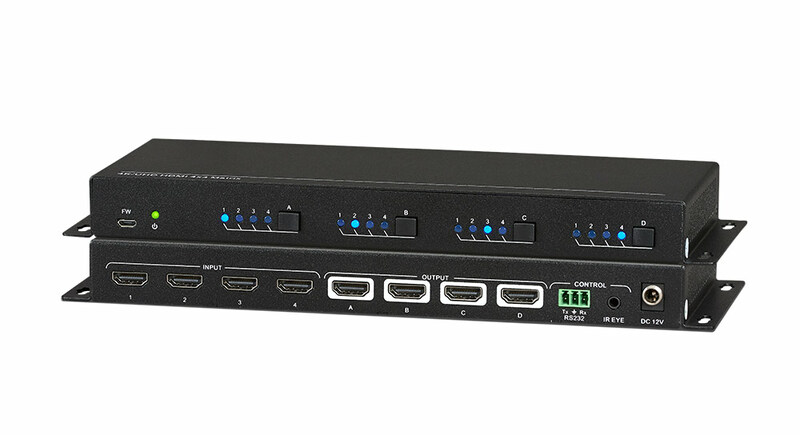 This matrix switcher is HDCP 2.2 compliant and supports 4K@60Hz, 4:2:0 video. it can be controlled via front panel buttons, IR remote and RS232 commands. Ideal for classrooms, corporate offices, retail stores and home theaters where there is a need to route four HDMI sources to four displays. Operation Temperature 0 ~ +40? Storage Temperature -10 ~ +55?